The BodyTalk System was developed by Dr. John Veltheim a chiropractor, traditional acupuncturist, Reiki Master, and philosopher who trained in osteopathy and bioenergetic psychology. The BodyTalk technique includes both Western and Eastern medical science, yogic principles, applied kinesiology, and quantum physics. It is designed to haromonize the body's internal communications and energy systems to support optimal health. This in turn helps the body to operate as nature intended, efficiently and more effectively respond to injury and illness. hydration, and health problems associated with internal and external scarring. and other non-specific body parts. 3. Correction	of genetically and/or environmentally influenced cell disorders. environmental allergies, and accumulated toxins. level, mood, overall structural integrity, muscle tension, and	digestive system. 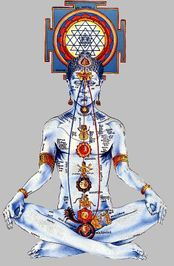 acupuncture meridians, the chakras, and general bioenergetic energy	flow. cord. It will improve posture, range of motion, blood, nerve, and energy flow. The body is a complex mechanism with each of it's system's, cell's, and atom's in constant communication. Unfortunately the stresses of everyday life can compromise these lines of communication or overload the energy circuits. BodyTalk allows the body's systems to be re-synchronized so they can operate as nature intended. The Body Talk System™ is non-invasive, completely safe and easily integrated into other healthcare regimes, BodyTalk can change the way you look at healthcare forever.